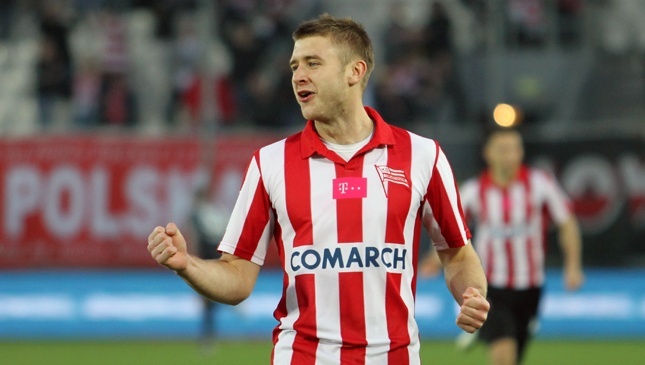 The Cracovia Pasy welcomed Zagłębie Lubin seeking a home win – a complicated task given the well organized and efficient opponent. The visitors confirmed their reputation as they quickly took the game in their hands, creating multiple chances and taking the lead with an early goal in the first half. Cracovia’s shy reactions were not enough to really move their opponents. The Pasy tried to emerge via Krzysztof Piątek, among others, but Cracovia’s top scorer was not able to find the net against his former club. With no goals scored for a month, he is reflecting his team’s current struggles. Cracovia had to wait the 70th minute to finally equalize, thanks their Captain Marcin Budziński, who triggered the perfect volley shot from a distance to score a world class goal. The visitors created another few goal chances after it, but the score remained unchanged. Another frustrating winless game for the Pasy at home, but looking at how things developed they can be satisfied with this score, since the visitors created twice more chances. Cracovia goalie Grzegorz Sandomierski was a very busy man and saved his team at multiple occasions. The man of the match. The White Star traveled to Warsaw to challenge the mighty Legia for the “Polish Classic”, which usually offers intensity and a lot of excitement in the stands. Wisła had not beaten Legia since 2013 but traveled to Warsaw with confidence following their recent positive performances. 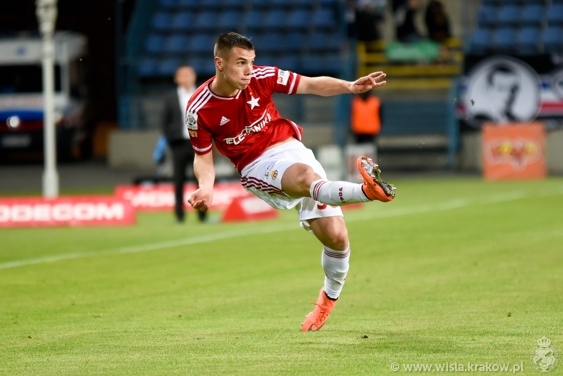 But at home Legia quickly put high pressure on their opponent and imposed their pace. They created a first close chance after only eight minutes, before opening the score two minutes later. They took advantage of the poor defending in Wisła defense to beat Lukasz Zaluska. Not the dream start for the Wisła men, obliged then to react and take the things in hands against a tough opponent. Generally, Legia dominated most of the first half, but the visitors managed to create two scoring chances via Boguski and Zachara. The second half started slowly, and the game only opened up 15 miinutes with Legia pushing for a goal. The home side hit the post, then got really close to scoring a minute later. Wisła’s only scoring chance of the second half occurred ten minutes from the end, but Patryk Małecki’s shot was not on target. Legia created a last chance right before the end, well saved by Lukasz Zaluska. And so ended the Classic: intense but disappointing. Wisła never managed to react and only created three chances. They bounced against a strong Legia side, always hard to move especially when they play at home. Coach Ramírez’s men extended their poor away record with their fourth defeat in their last five games. And yet no win against Legia. Last weekend, the Pasy took the short two-hour trip to Kielce to face Korona, a team with an impressive home record of five wins in their last five games, scoring an average of three goals. Cracovia was warned. The Pasy experienced a disastrous start, reduced to ten men after only seven minutes. Jakub Wójcicki was red-carded after a fault on Spanish striker Abalo. The sanction was double with a penalty kick added since the fault was inside the box. Luckily Korona missed their penalty, hitting the post. But the red card was surely the turning point: reduced to ten men for the rest of the game, the meeting quickly turned into a one-way game. Cracovia held strong for half an hour before Korona opened the score via a superb long distance shot. Coach Zielinski’s men remained strong and fought hard to block Korona’s repeated attacks. However, having to chase the ball and defending an entire game with a man down requires a lot of energy. And Cracovia threw a lot of it in the battle. They paid the consequence at the end of the game as Korona scored two more goals in the last five minutes of the game, sealing the score and the win. Things are not working well for the Cracovia Pasy. With only one win in their last 14 games they entered the relegation zone (15th out of 16 teams). But with four games left in the regular season followed by seven Playoff games, they still have time to emerge. But the clock is ticking, and a reaction is expected starting next game, away to Wisła Płock on Saturday, April the 1st. Coach Ramírez’s men welcomed Wisła Płock, a club that shares the same name and river as Wisła Krakow. The team, promoted this year from division two, has had a fair amount of success so far, well settled mid-table and playing enjoyable football. This was a fact that Krakow players experienced, as the visitors created most of the goal chances in the first half and keeping home goalie Lukasz Zaluska busy. But Wisła Krakow opened the score on their first chance of the game at the 23rd via their Croatian youngster Petar Brlek, who nicely finished the action. The visitors reacted immediately and created multiple goal chances before equalizing. Their efforts were rewarded five minutes from the break, but on a questionable action, in which Wisła players were claiming a fault on Lukasz Zaluska. 1-1 at half time. But with seven chances in the first half, the visitors were clearly the most dangerous side. The second half started on a more settled rhythm, but 20 minutes from the end the visitors surprised again by scoring their second. The White Star reacted ten minutes later and equalized via their Bosnian midfielder Semir Štilić. A bit of a lucky goal, since the 29-year-old tried to cross rather than shoot. But a goal is a goal. And the home fans did not see it all, as a few minutes later their team even added a third goal. Jakub Bartosz, who had come off the bench a minute earlier, sealed the win for the home side. The 20-year-old product of the home academy finished a strong counter-attack. The visitors would have deserved at least a point (if not the win) looking at all the occasions they created, but Wisła Krakow showed more efficiency. Overall, what a game for the fans, featuring two offensive-minded teams, five goals in total, plenty of occasions, and a crazy scenario. This is how we like football. Wisła Krakow jump to the 6th position and consolidate their spot in the Top Eight. With four games to go, they should be able to secure their participation to the Championship Playoffs by keeping the same level. Next on their plate: another home game against Lech Poznań on Friday 31st.